Up until July, the grasses in the parkland area of the Demesne are left to grow as they will, to encourage natural meadow re-seeding. By August, though, mowing has taken place, and short-shorn pathways crisscross the area for walkers' convenience. Diane loved to hug the Oak at this nexus of pathways (a real tree-hugger, she). 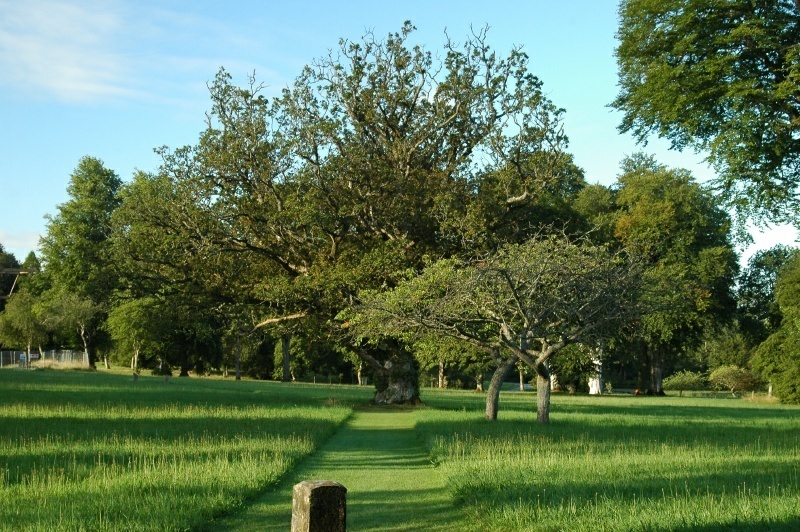 The post in the foreground is a meridian marker, directly north of the Great Telescope.